Your children will learn to recognize their own needs and to succeed, but also learn to adapt to the needs of the group. Help me, to do it myself! 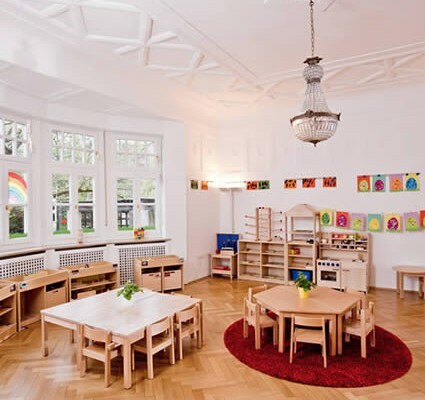 Our nursery and kindergarten is situated in Bogenhausen, one of the nicest districts in Munich. If you would like to take a closer look at Am Sternenwinkel, just visit our Gallery for more photos. If you would like to register your child at our nursery or kindergarten, please use our Registration Form. 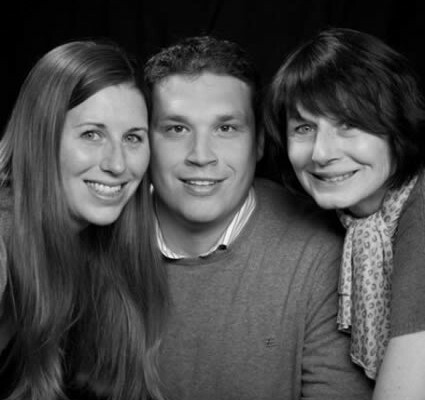 We are delighted to welcome you to our German and English speaking nursery and kindergarten. It is important to us that your children feel comfortable in their new environment and are given sufficient room to grow and develop. For the welfare of your children it is very important for us to have close contact and a good exchange of information between educators and parents. We invite you to read through our concept and contact us if you have further questions. Here you will find a summary of the contents and aims of our educational work, as well as a description of a day in our groups. For many children the nursery or kindergarten is the first opportunity to regularly spend a large part of the day away from their family. Our special approach to early years education will feed their developing skills and interests at the right times and help them to become capable and in control of their world. It is our wish that your child develops both in his individuality and as a member of the community. Your children will learn to recognize their own needs and to succeed, but also learn to adapt to the needs of the group. With us it is also possible for your child to gain life experiences, to make their first friendships and learn to maintain them. In the nursery group three trained educators are assigned to each class. In the two kindergarten groups, two trained educators are assigned to each class. If you have any suggestions, questions or would like to have further information please complete our contact from. 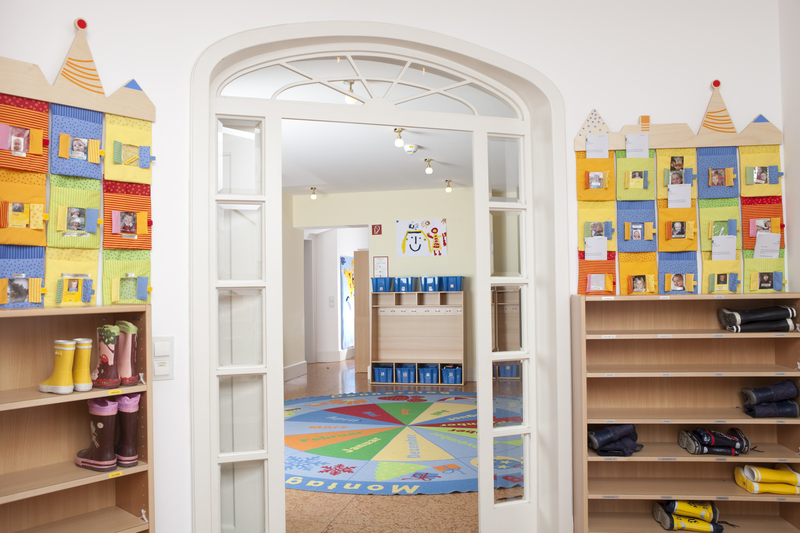 A tour of our nursery and kindergarten will give you the opportunity to meet us in person and discuss our philosophy and the wishes you have for your child. If you would like to register your child for our nursery or kindergarten, then please follow the the link and fill out the registration form. Please note the registration form must be completely filled out in order to be processed.